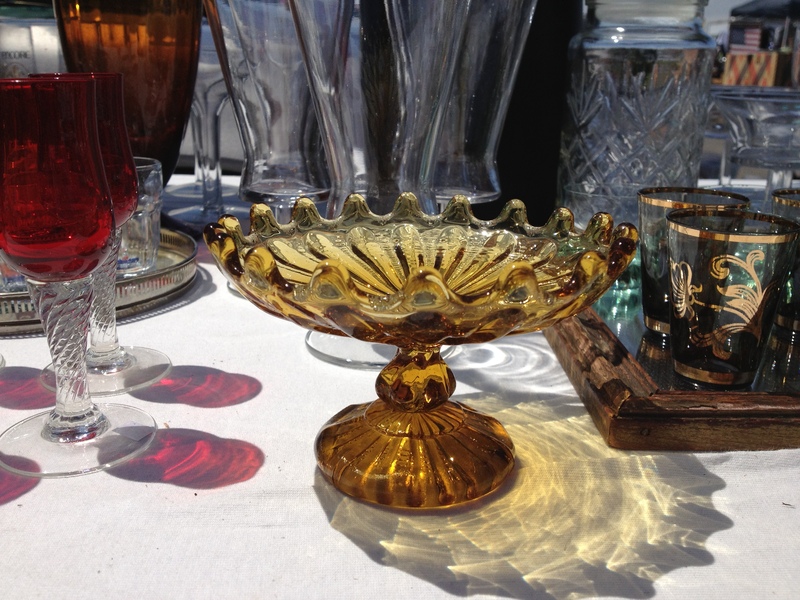 Over the weekend I visited the Alameda Point Antique Faire, the largest antique shopping experience in Northern California. They weren’t lying. They open gates at 6a, but I got there at 1p when admission is cheaper and it’s easier to get closer parking, and there are rows and rows of vendors with loads and loads of old things. It was quite an experience. 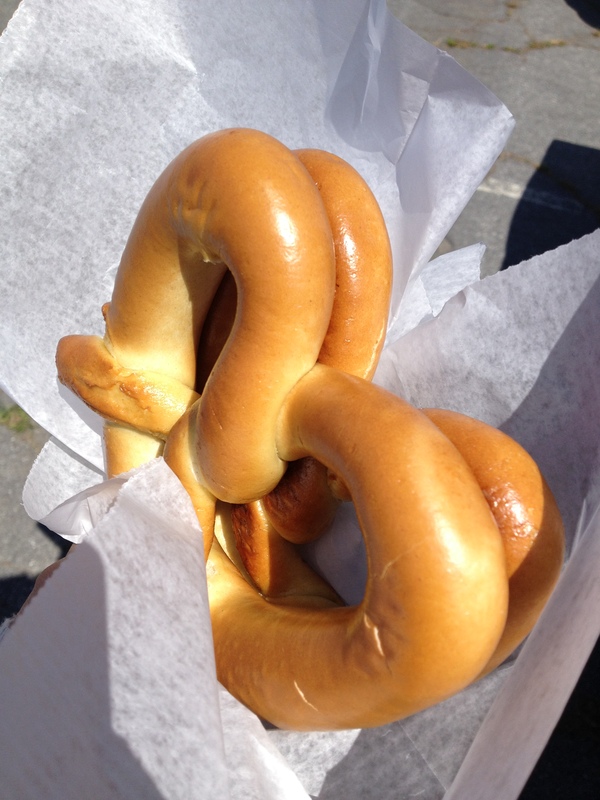 Of course, I didn’t find anything that really grabbed my attention, but I did leave with two soft pretzels for a dollar each, an end-of-the-day special! The fair is held outside so it was dusty, cold, and windy, but sunny – in other words, a nice bay area day! There was so much to look at. I’m always impressed with the craftsmanship of older items. Things really were made to last. I had my eyes open for a typewriter and some small teak bowls; I’ll have to do a bit more searching. I almost bought this glass stand, though. I couldn’t think of a purpose except “soap dish,” but I only have so many sinks. Perhaps it was the enormity of selection that overwhelmed me, but I prefer shopping at thrift stores much more. I seem to always find something to buy in store. I suppose thrift stores are also cheaper and that appeals to me, too. Antique fair or thrift store? What’s your preferred way to find old things / new treasures? Share below.